This volume spans the period up to the end of the First World War. The first section covers Beatty’s career as a Captain, to set the context for the bulk of the volume, which focuses on the War itself. The Battle of Jutland is covered fairly briefly here, with Beatty’s immediate reaction; his later thoughts can be found in Volume II (NRS Volume 132). The documents included have come mainly from Lord Beatty’s personal collection (at the National Maritime Museum), but also from the Imperial War Museum and the archives of Churchill College, Cambridge. Official papers from the National Archive and the British Library are not included. 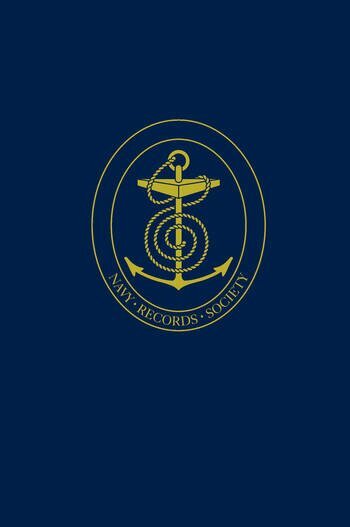 Both the subject, and some individual documents, overlap with the Navy Record Society collections, Volume 108: The Jellicoe Papers, Volume I (1966) and Volume 111: The Jellicoe Papers, Volume II (1968), both edited by A Temple-Patterson.